Please meet our next eye-catching blanket. Pastel colors make it for wonderful gift for any baby shower, but two or three of them in favourite colors of your friends or family will be also adorable. With such beautiful bedding even simple furniture will be eye-catching. The link to the free pattern is below. 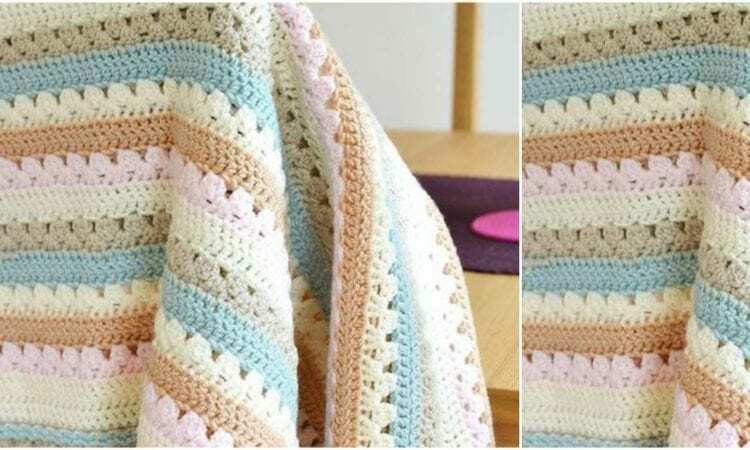 A Cozy Stripe Blanket – Free Crochet Pattern is here. Don’t forget Like us on Facebook. For more ideas and free crochet patterns join our Facebook group.